You don´t know your size?! You will find it anyway. 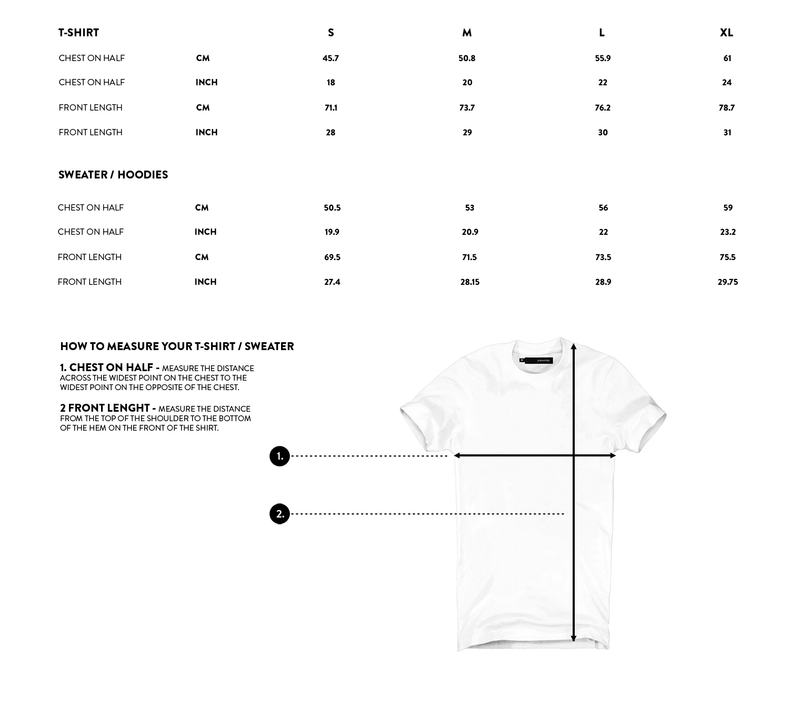 If you like your T-Shirt slightly fitted, you can choose your normal size. If you prefer to wear it more slim fitted, you can consider a size smaller, because of the perfect baselength and excellent wearing quality. The hoodies / sweaters have an well-fit cutting, slightly slim cut. If you prefer it more casual, you can think of choosing one size bigger. Are you still unsure? Do not hesitate contacting us.